Description: Archontophoenix alexandrae is a tall, solitary, handsome palm to about 25 metres tall with a spread of about 2 – 2.5 metres and a gracefull appearance. The leaves, up to about 2 metres long. It can reach about 1 / 3 meters in diameter. 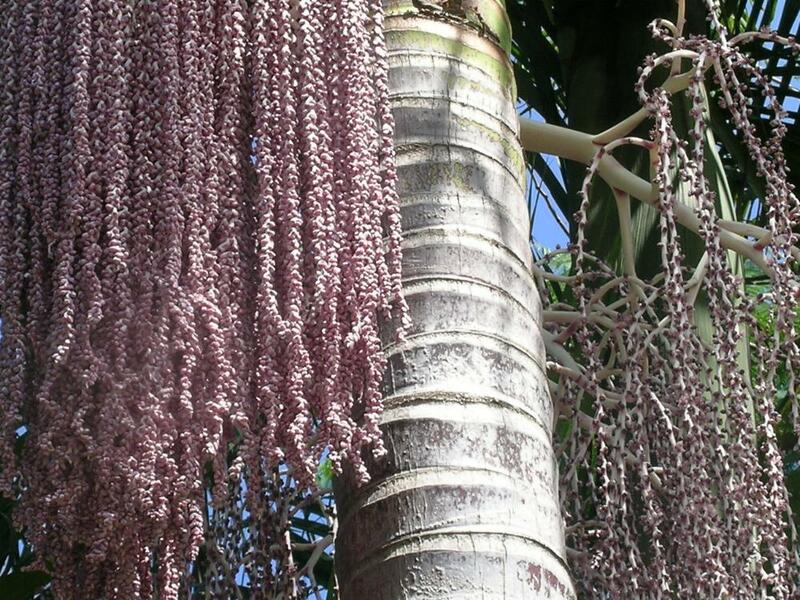 Flowers are formed below the crownshaft with the creamy flower stalks holding amythest purple flowers. The round fruit, about 12 mm in diameter, turn bright red at maturity. 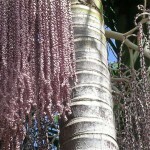 It is quite a fast grower, averaging about 1/3 – 1 metre per year. These palms can be grown in full sun (if the water is kept up to them), or in the shade. 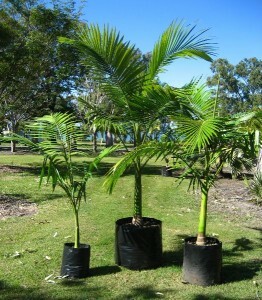 Archontophoenix alexandrae is extremely popular palm in Australia, becoming quite common now to plant in clusters and close groupings.